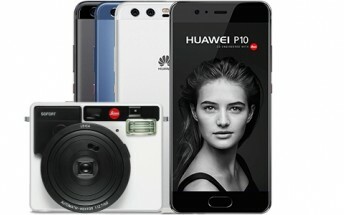 The Huawei P10 was spotted on a shelf in Barcelona, up for pre-order, along with the offer of a free Huawei Watch 2. It turns out Spain isn't the only country already running an early-bird sale for the phone and one of our readers informed us that a few stores in the Netherlands are doing the same. 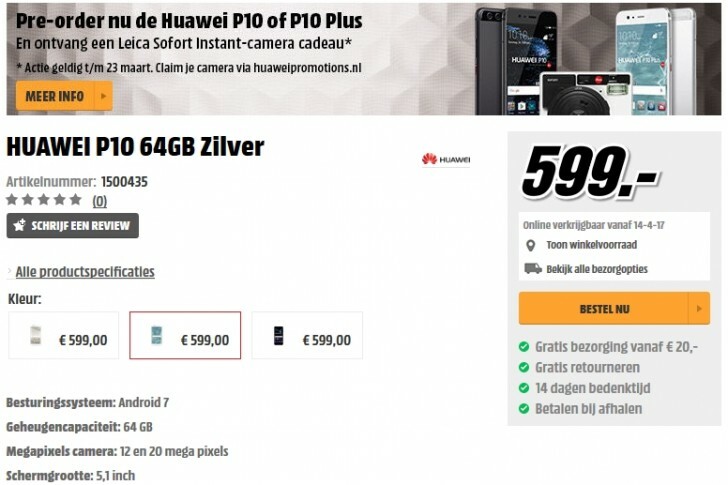 T-mobile, bol.com and Mediamarkt are among them and besides the basic Huawei P10, the latter has already listed the P10 Plus and P10 Lite on its website. All three models are available in black, gold and silver (well, white on the Lite, to be precise) and should start shipping on March 17, for EUR 349, EUR 599 and EUR 749, respectively. To sweeten the deal even further, if you opt of the basic or Plus model before March 23, you also get a Leica Sofort Instant Camera for free. The retro-cool Polaroid-style camera has a MSRP of about EUR 289 on its own, so it's a pretty generous gift.